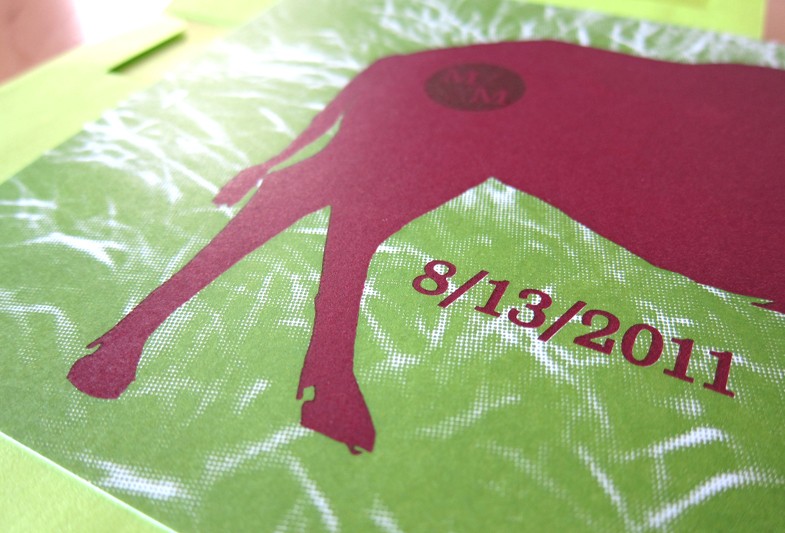 A save-the-date card and invitation for a wedding being held on a Buffalo farm in the Cowichan Valley on Vancouver Island, BC. 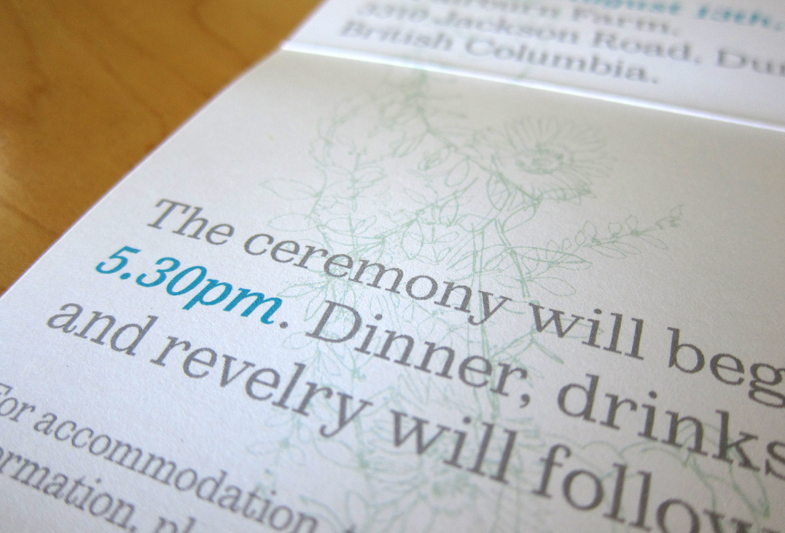 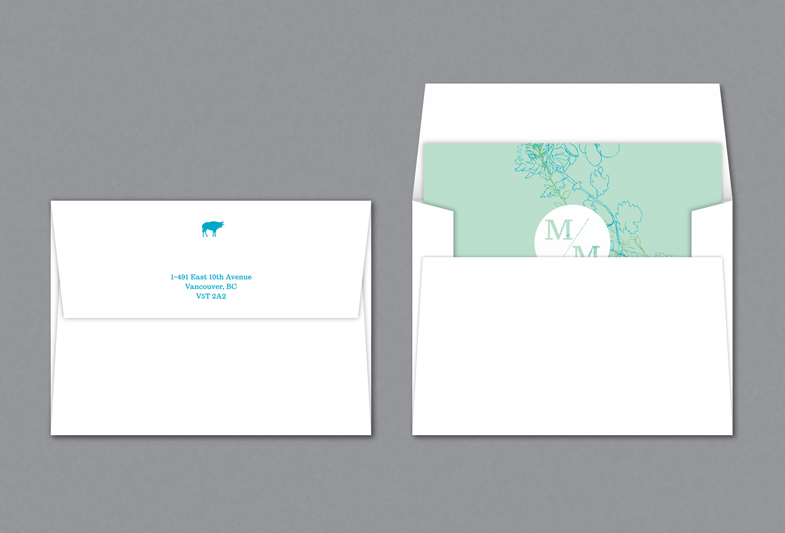 The save-the-date card playfully teases recipients with minimal details and a powerful graphic reference to the location. 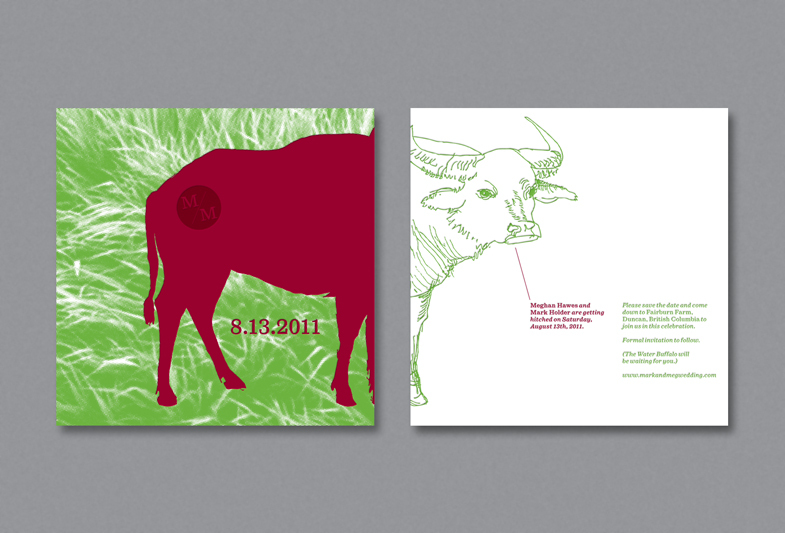 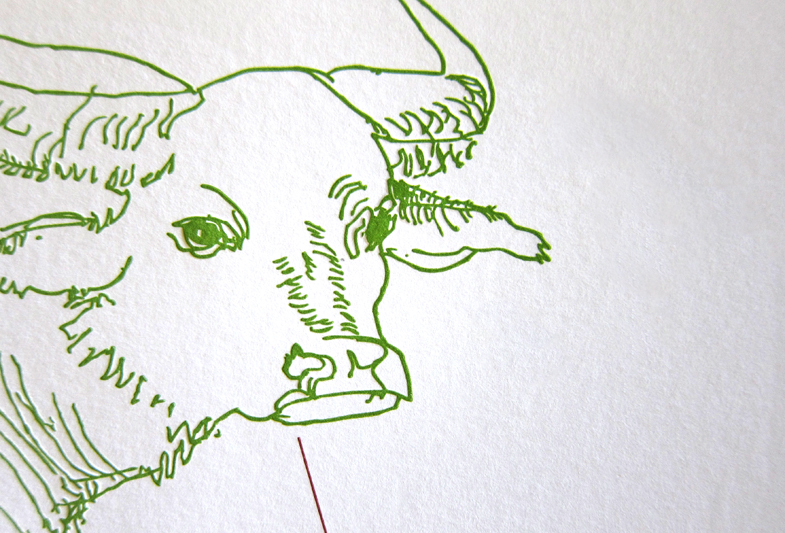 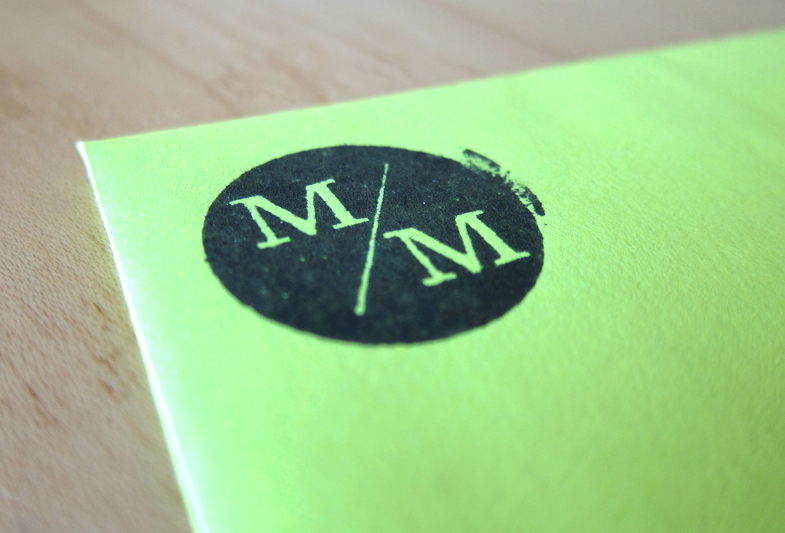 The colour palette references farm buildings and grazing pasture, and is printed on a letterpress. 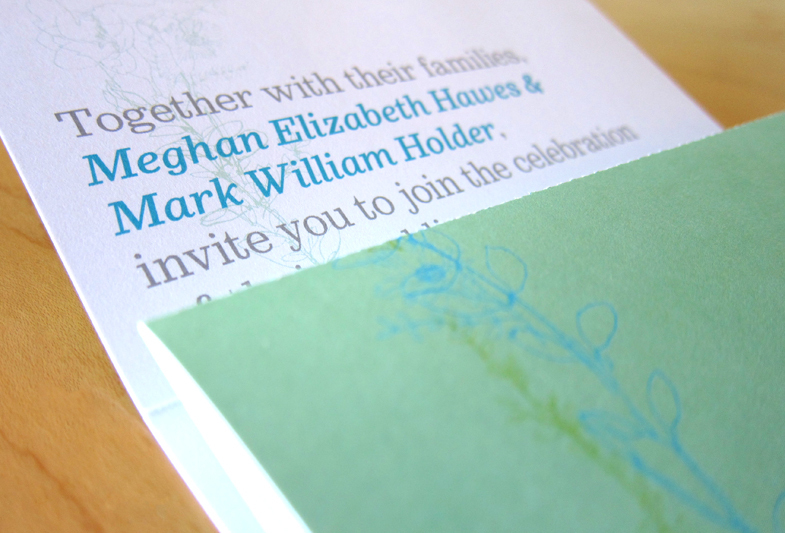 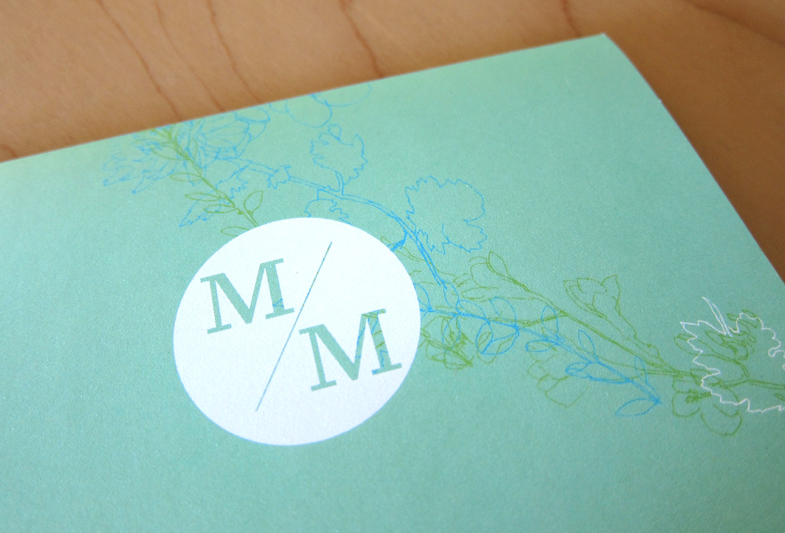 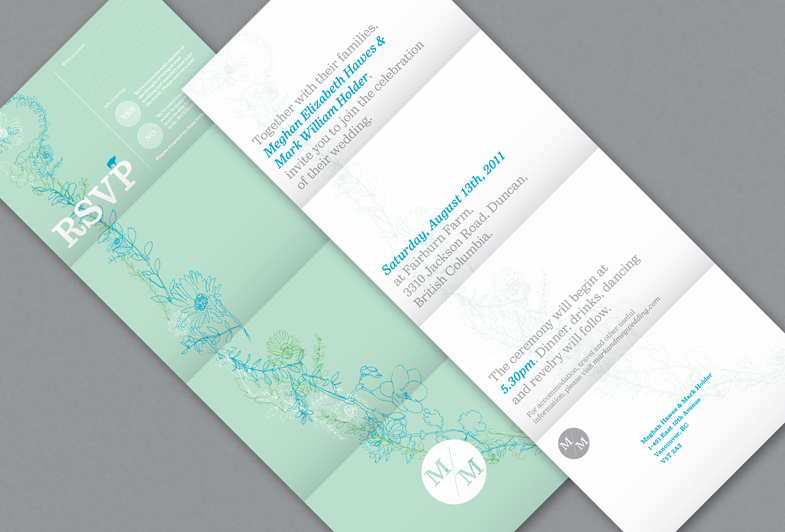 The invitiation is a slowly-paced reveal, using a long, roll-folded format not usually seen on wedding stationery. 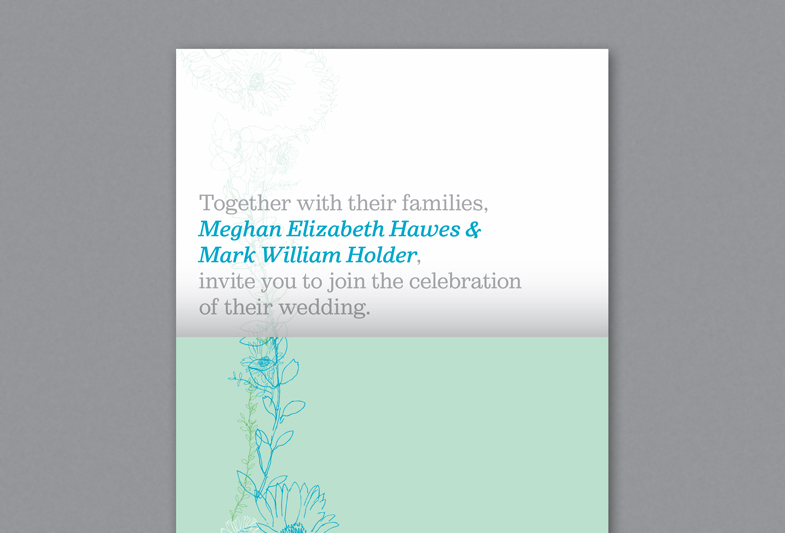 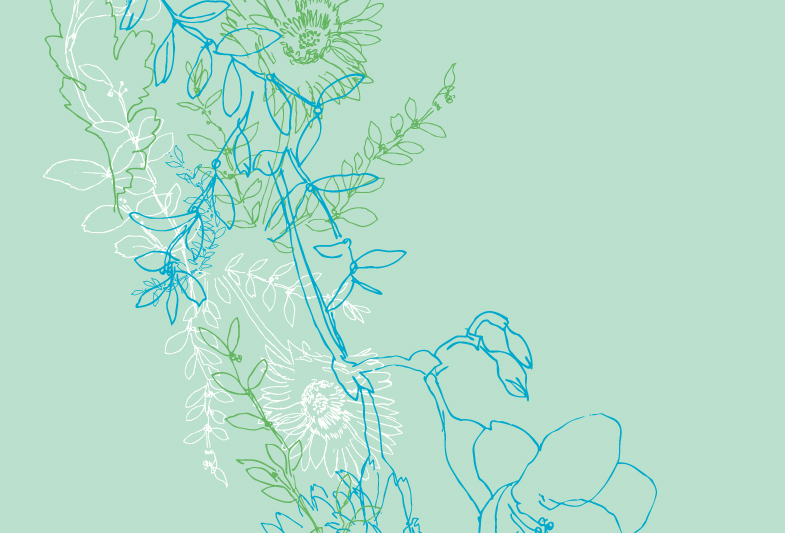 The graphic theme is more subtle; flowers from the bride’s bouquet are whimsically illustrated and arranged to form the outline of the west coast from Vancouver Island to southern California, the bride and groom’s respective birthplaces. 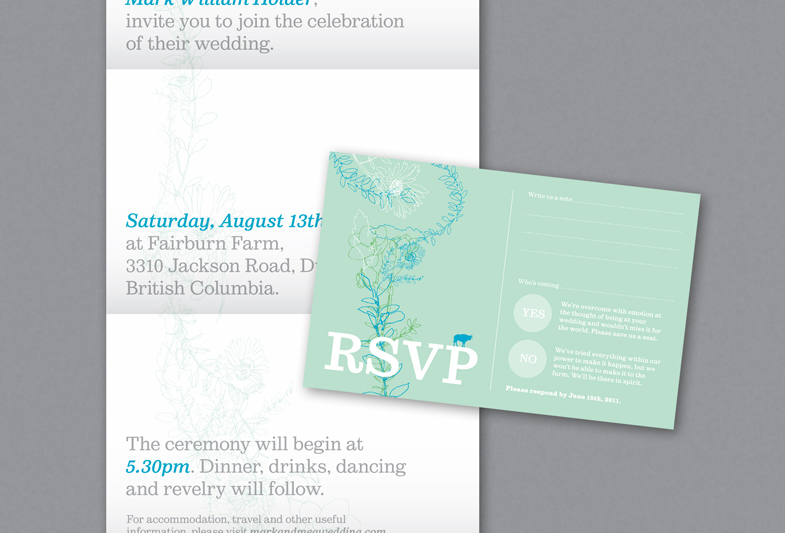 The final fold integrates a detachable reply card to encourage prompt responses. 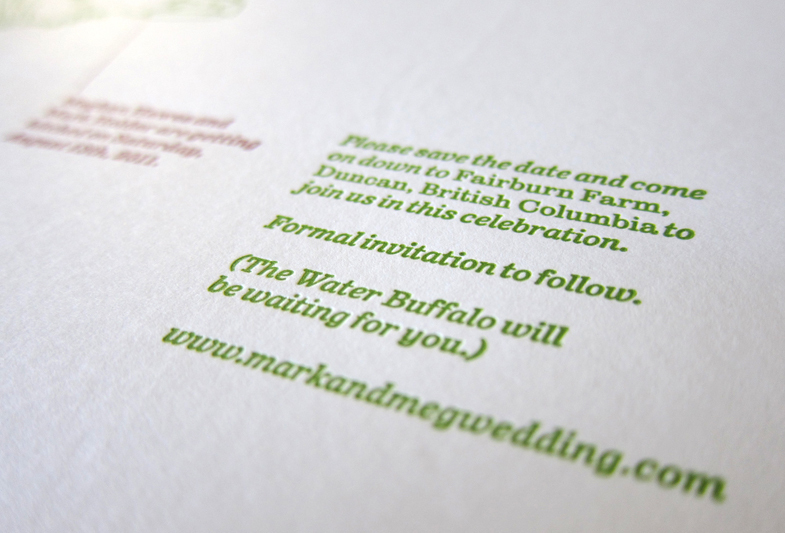 A monogram (and rubber stamp) was also created for the couple to brand items around the farm and reception. 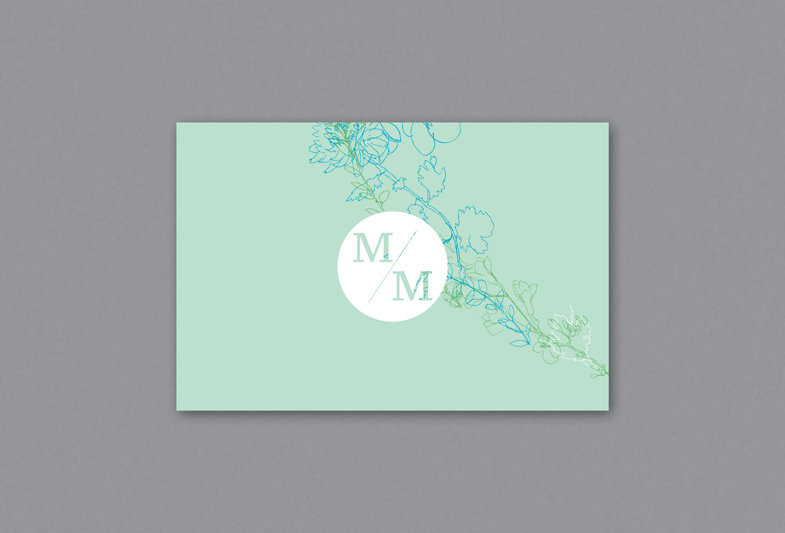 The colour palette makes reference to the bridesmaids’ dresses.